Please use this document as a reference for making very basic tables in the Design/What-You-See-Is-What-You-Get (WYSIWYG) Editor. There are limitations to tables created in the WYSIWIYG/ Design editor. There is much, much more flexibility using the HTML editor. Have all your data in one place. Ideally, all your data will be in a digital format. Sometimes, when copying data from the web sites or other word processing applications, extraneous code or odd glyphs that are the direct cause of formatting problems may also be copied into the Design mode. Please use a data cleaner, like HTML-Cleaner, or copy and paste data into a text editor and save it as a *.txt document. Sketch out a draft of your table and determine the number of columns and rows you would like to see. Create a solid introductory/ explanatory paragraph that explains the content of your table. Place the cursor where you would like the table to appear. Click on the table button. In the image below, the table button is circled in red on the left. Rows - Determines number of rows in table. This field defaults to 4. Columns - Determines number of columns in table. This field defaults to 4. Table width - The width of the table, in percentage or pixels. This field defaults to 100%. Table background - The color the table will display in. White is the preferred color. The drop down menu displays colors and corresponding hex color code. This field defaults to the selection of Not Set. Table border width - The width of the table border, 10 being the thickest. This field defaults to 1. Collapse Check Box - This property sets whether the table borders should be collapsed into a single border. This field defaults to an unchecked check box. Table border style - The border of the table; solid, dashed, dotted and double. This field defaults to Solid. Table border color - The color the table border will display in. The drop down menu displays colors and corresponding hex color code. This field defaults to the selection of Not Set. Table alignment - The alignment to which the table will display in a document. Choose from Left, Right, or Center. This field defaults to Not Set. Cell data alignment - Determines the alignment of text or other information in each table cell. Options are Left, Center, and Right. This field defaults to the selection of Not Set. Cell padding - The space between the cell edges and the contents of the cell. This field defaults to 1. Cell spacing - The space between the cells of the table (also effects the distance between the cells and the table edges).This field defaults to 1. Cell border width - The width the cell border will display in. The drop down menu displays numbers 0 through 10. This field defaults to Not Set. Cell border color - The color the table border will display in. The drop down menu displays colors and corresponding hex color code. This field defaults to Not Set. Cell border style - The border of the table will display in; solid, dashed, dotted and double. This field defaults to Not Set. Click on the Table button and carefully complete the pop-up Table Properties form. Note: Please know that the data you enter in the cells are limited to the properties you enter into this form. So, in this case, "What-You-See-Is-What-You-Get" is misleading. If you have large images in the cells of your table, the images **appear** to be the widest column of your table when you are in the Design Mode Editor. However, to see what your table restrictions have done to the entered image and content, either click on the Preview button and then click on the Internal View or External View link. Another way to see how the content will display on the table based on your restrictions, you may also publish you document and set the SearchPriority to Exclude from search. In the image below, the Table Properties form was completed with specific parameters and the Insert table button is circled in red on the lower right. An empty table will appear in the document. Begin entering data in the table. Please save your changes with frequency. In the event you make an error, you can restore your document to a previous version. The table below shows a first draft of the table. 5 Eastern Brown Snake This type of snake is among the few which are actually aggressive. It is commonly found in Australia, and may be found in populated areas like cities, not just remote locations. If it perceives someone as a threat, it will actually chase that person out of its territory. If the snake is not confident of its safety, it may decide to bite. If it does so, it may bite many times during a single attack. Less than half contain venom, but those that do can cause paralysis or death. 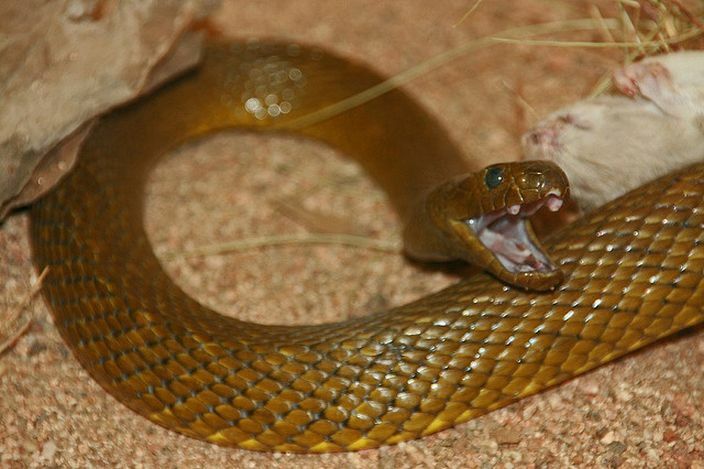 Because of its proximity to population centers and its aggression, you could argue the Eastern Brown Snake is the most dangerous snake in the world. 4 Inland Taipan While it’s difficult to be as impressed by the Inland Taipan after learning about the concentration of venom in a Belcher’s Sea Snake bite, it’d be foolish to discount the Taipan just because its bite can only kill as many as 100 people! Taipans usually avoid human contact, however, and you are unlikely to ever encounter one. 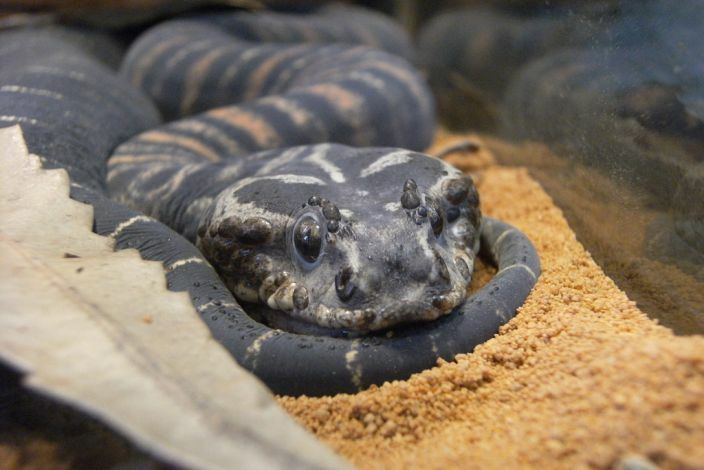 3 Death Adder You know that famous legend about Cleopatra using a snake to kill herself? The type of snake she supposedly used was a death adder. 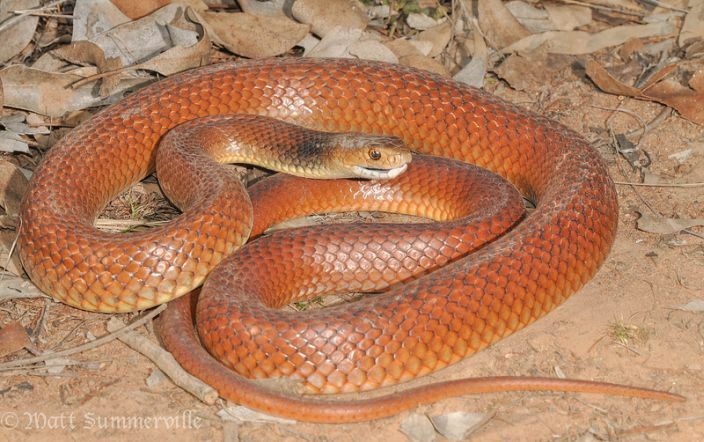 You can find these snakes throughout Australia, New Guinea, and other regions. A bite can result in paralysis, respiratory arrest, and death inside of only six hours. With fast treatment, a patient is unlikely to die, but without treatment, about 50% of bites are lethal. Death adders also prey on other snakes. When most people think of poisonous snakes, the rattlesnake springs to mind pretty quickly. These snakes are found throughout the Americas and are actually a type of viper. Their name comes of course from the rattle which is found at the end of the tail and which creates a distinctive noise. Eastern Diamondbacks are the most poisonous of all rattlesnakes. 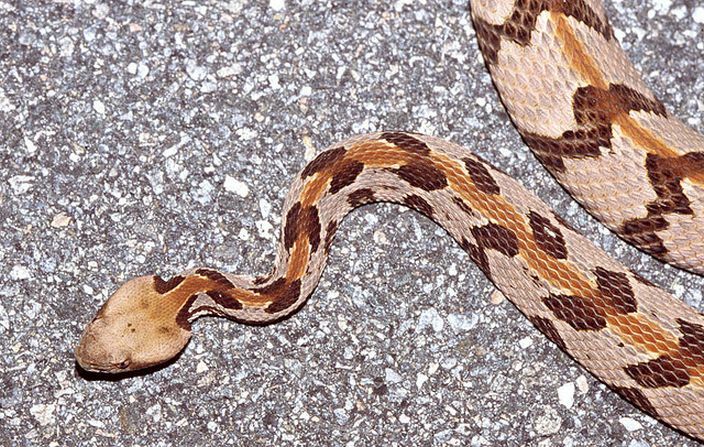 Thankfully, only about 4% of bites result in fatalities with prompt treatment, but untreated, any rattlesnake bite has the potential to kill. The venom can also cause permanent damage to organs and may even lead to the loss of a limb. 1 Belcher's Sea Snake You may be somewhat familiar with these sea snakes. They are quite common, and you may have seen them in films or even in person. They are recognizable from their stripes. Usually these snakes have no interest in confrontation, but if one feels threatened, it may bite you. Three out of four times this will be no big deal, since only about one quarter of Belcher’s Sea Snakes carry venom. Those that do though have the highest concentration of venom in existence. Just a few milligrams has the capacity to kill thousands of human beings, making this the most poisonous snake in the world. 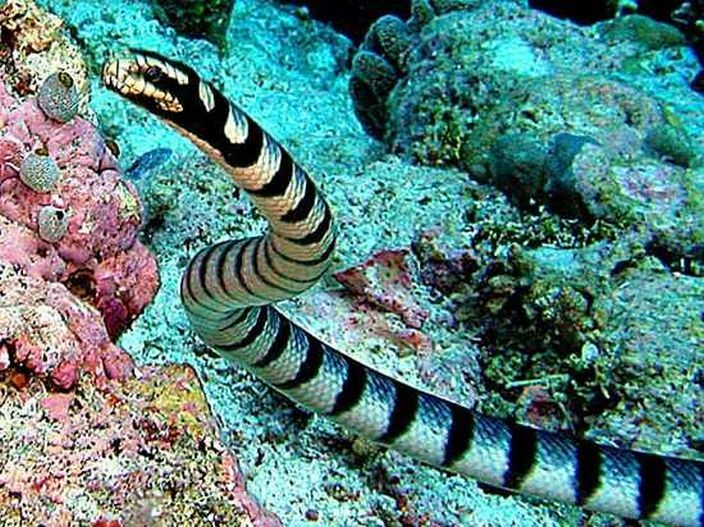 Nonetheless, most Belcher’s Sea Snakes are quite harmless thanks to a docile personality and a lack of venom. Format the content: bold columns and rows, add italics and other formatting to text. 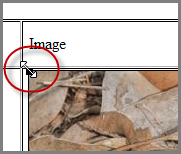 Adjust image sizes: if you are editing the document in Firefox, you may easily edit the image sizes in the Design/ WYSIWYG editor by pulling on the anchor buttons. In the image below, the anchor fields are circled in red. As you hover your mouse over the anchor button, the cursor will become a two-headed arrow. Drag the anchors until the image is at its desired sized. The image below shows the two-headed arrow cursor circled in red. The table below shows that the image sizes have been adjusted and they have been centered. Please Use Caution Adjusting the Column width: If you click onto a cell in the table, the anchor buttons appear. Should you pull the appropriate anchor button, a row is the width can be altered. In the image below, the anchor button in the Description Row is circled. Our test table now displays a less-wide Description column. However, the Table Properties form completed in the beginning of this process required 100% width. Below is the result of manually adjusting a column. We would like to add a column for photo credits on the far right. To do this, place your cursor inside the text field of the desired column so that the Anchor/ Delete buttons appear. The image below shows the Description column with Anchor and Delete buttons circled in red and labeled. Please be very careful NOT to click on any buttons with an x as you will delete that column or row. Click on the Insert column right button. Just hover over the table buttons until you see the appropriate tool tip message. The column will appear on the right. In the image below the column is very narrow and is circled in red. Place your cursor in each of the fields and populate as you see fit. Our test table now has a populated row for Photo Credits on the far right. In the WYSIWYG editor, the most efficient way to delete a table is by deleting column by column. Place your cursor in the top row / left column of your table, the anchor and delete buttons will appear. In the image below, the red arrow points to the delete column button. Click on that button to delete the column. Repeat this until the table has been deleted. In the HTML editor, just delete everything between the table tags. Much thanks to the Conservation Institute!